Tamera Mowry twitpic’d herself looking fab and saying ‘Hi Hater’ to all her ex’s who couldn’t commit (true story). She is looking fly if I do say so myself. 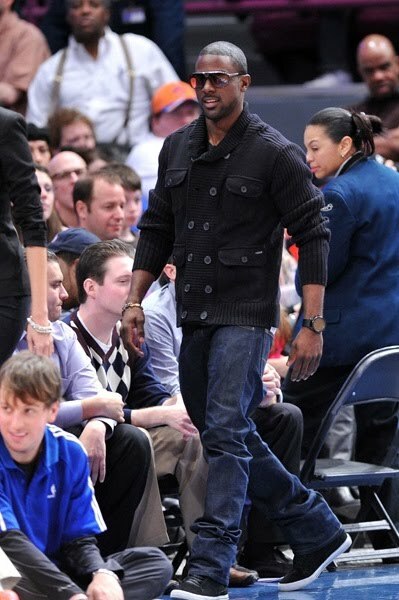 And the lusciousness that is Lance Gross was at an NBA basketball game this week. He is just fine, and if America’s Next Top Model alum, Eva Marcille, don’t hurry up and marry him, the Fab Girls may swoop him up! I’m loving Lance’s sweater and jean combo. Guys, this is a good look while transitioning to spring.